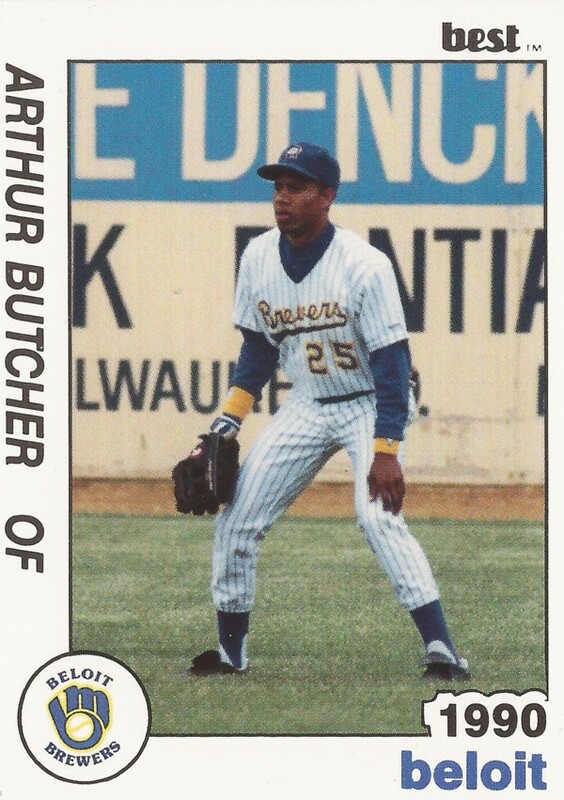 The game on the line, Beloit outfielder Arthur Butcher fielded the ball and threw a strike to the catcher in this August 1989 game, according to The Kenosha News. The runner racing toward home represented the game-tying run. Butcher's throw, however, cut him down at the plate, The News wrote. Butcher saved that game near the end of his first season as a pro. He returned the next year and in one more season after that. He never had the opportunity to make a game-saving throw higher than high-A. 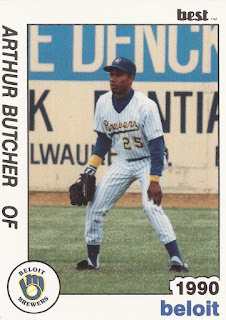 Butcher's career began that year in 1989, taken by the Brewers in the 20th round of the draft out of the University of Texas. Butcher was also credited as Art Butcher. At Texas, Butcher went up against college phenom Ben McDonald and went 3 for 3 in a game. He singled and walked in a June 1989 College World Series game. With the Brewers, Butcher started at single-A Beloit. He got into 48 games and hit .172. He hit one home run and knocked in 10. He returned to Beloit for 1990 and saw time at high-A Stockton. In 78 games that year, he hit .253, with five home runs and 33 RBI. After not being credited as playing in 1991, Butcher returned in 1992 for a brief stint at high-A Salinas. He hit .179 over 21 games there, ending his career.